My parents decided they had enough, and nearly three years ago sold the house I mostly grew up in and trucked everything we owned, one rather confused laying hen included, to what feels like the most secluded place in America. I’m not lying either, even the locals look at me in shock and question why here of all places. They love the little back road and the lack of cell signal and find the people here to be uniquely quirky. My thoughts were, and still mostly are, less than enthusiastic. I’ve debated sharing, but my options to talk about my experiences or feelings haven’t been the greatest. Remember, my parents love being here. There’s also that pesky business of being in solitary confinement that I depressingly have no friends to spend time with that aren’t at least several hundred miles away and accessible only via Skype. I even tried speak to my cat, Alphonse, about my thoughts. But seeing as he is originally from Florida I don’t think he shares my sentiments. Especially after his first experience with snow which he voted to never try again. I know my thoughts are biased. Despite having been raised barefoot in the forests of New England and spending summers working on dairy farms, I found myself comfortable in a small flat and being able to walk to most everything I wanted. It was strange, to say the least, but it also made my transition back into a place where I must drive 2 hours in order to find events with people interested in the same things as me torturous. But, perhaps I should start with the good. Yes, there are good things here that I do enjoy, and not just my new job which is light years better than my old one and part of the reason why I moved in the first place. Fried chicken. There is fried chicken everywhere and it is one my very favourite things to eat. Quite seriously there are nearly a dozen restaurants offering it (either because that is the centre of their being or because it’s included under the umbrella of “this is what southerners like for lunch”) within a mile or two of where I work. They are practically on top of each other! I will admit to being the sort who travels via her stomach and having food I enjoy is always a huge draw. The night sky. Thanks to the land around here being the flatest I have ever experienced you get a pretty good view of sunsets and stars. I write this as a thunderstorm is rolling in and over the tops of the trees I could see the clouds illuminating in orange flashes. I will admit, it was beautiful before I ducked back inside and bunkered down for the torrential rain soon to come. The beach. I can trek out on the weekends for sunshine and sandy beaches. Granted, I have a tendancy to burst into flame when in contact with direct sunlight, but I can easily go on vacation whenever I wish. 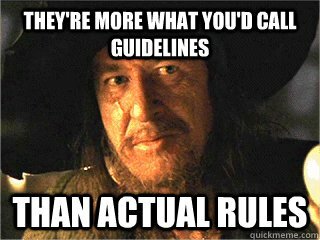 Pirates. Drink up me hearties, this be pirate territory. But here is what has been bothering me for months. I won’t say I hate the south, but there are things that bother me about being here. Most of these I’m having he hardest time trying to work around, but I swear I am trying to find some middle ground here. Let’s start off list two with my favourite topic once more: the Food. I swear, 90% of anything that has been handed to me as a local staple is either excessively salty or sweet. When I lived in the UK I thought I had a serious sweet tooth. I was wrong. I went to a Christmas dinner and gagged on collards that I would have consumed less salt if I had gone to the ocean and drank from it. Then tried to wash it down with the syrup known as sweet tea. Me, a normally balanced eater, cannot eat the vegetables around here because I am strangely the sort who actually LIKES the taste of real veg and doesn’t boil it all in pig tails. Driving. I didn’t used to be the road rage type. Now I struggle to get anywhere without calling drivers names. And rules of the road? This ranges from annoyance, such as you are more likely to need to pass drivers on the right side because slower traffic likes to travel in the left lane, to down right dangerous. Your four wheels should fit and remain between the painted lines. Turn on your lights when it is getting dark, foggy, or is starting to rain. Turn off your high beams when you are driving towards other cars. Don’t pull out right in front of a car traveling 60 mph and do 15. Cosplay. Seeing how big it has been in my life especially with coping with stress one of the worst things about having moved here is that there is nothing cosplay related going on. Right now we are heading into what should be the busy season. Up north my friends are going to cons that pop up nearly every weekend. In a few weeks I will finally attend an event here and will then have to wait another few months for the next one. If I were to be honest, I am having a hard time living here and it hasn’t been getting any easier. I worry I am the sort of strange that won’t ever find common ground or fit in. There haven’t been too many people here to discuss the new Steins;Gate 0 episodes with. The nearest NaNo writing group wasn’t active during November and it was over an hour away. I would kill to eat greens that are not boiled in fat first. Here’s hoping that in a few more months I can report something more positive.